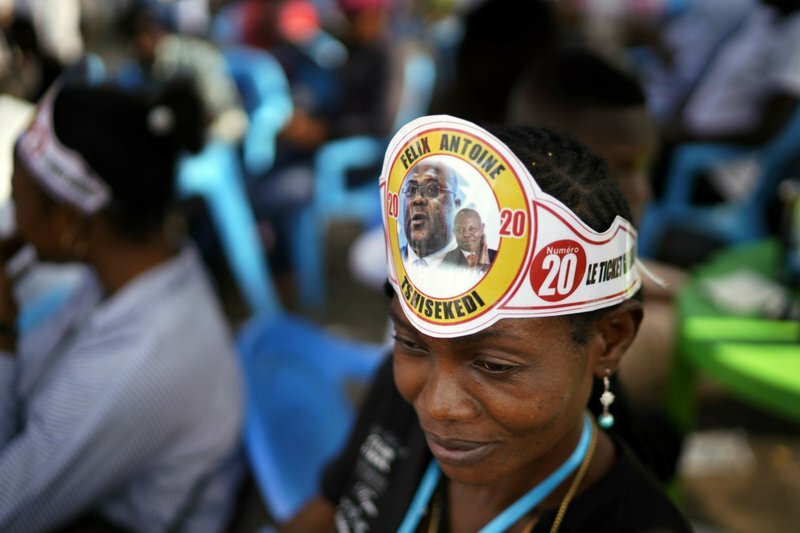 KINSHASA, CONGO (AP) — Congo is set to inaugurate an opposition leader as its unexpected new president in the Central African country’s first peaceful, democratic transfer of power since independence nearly 60 years ago. The 55-year-old Felix Tshisekedi, son of the late opposition icon Etienne, will be sworn into office on Thursday at the Peoples’ Palace, the seat of the national legislature in the capital, Kinshasa. Many Congolese hope that Tshisekedi will bring change after 18 years of rule by President Joseph Kabila. However, Tshisekedi must work with a legislature dominated by members of Kabila’s ruling coalition. Tshisekedi’s supporters are gathering at the venue, entertained by traditional dancers.